My first guest post on Seriously Write went up on Tuesday. If you're a writer (or really, anyone working toward a dream) and have ever wondered, "Is God telling me to quit?" that post is for you. Read it here. 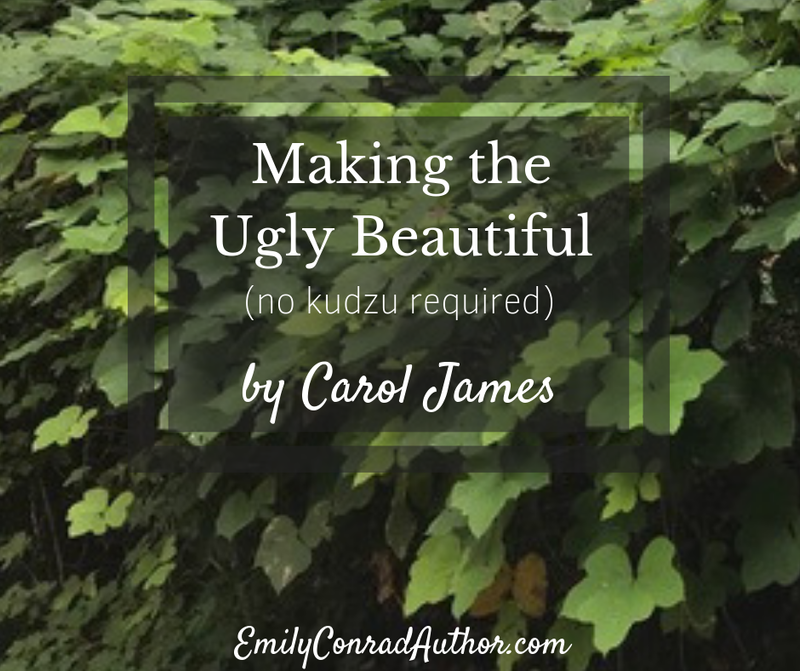 As for this online space, I'm thrilled to welcome Carol James to the blog today! 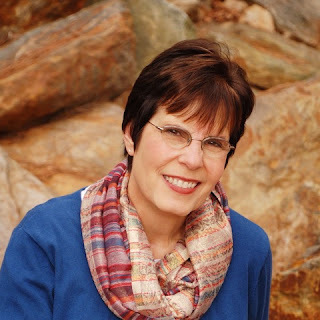 Carol is a fellow Pelican Book Group author, whose novel The Waiting releases this month. 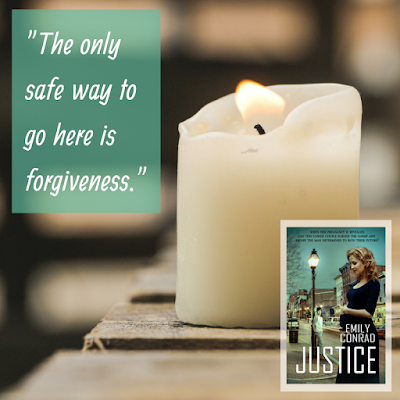 In addition to sharing some wisdom with us in her post today, Carol has generously agreed to send one person who comments on this post a free ecopy of her book! US only. See the bottom of this post for more info--including more information about the story itself! Without further ado, here's Carol! Where’s the kudzu in your life? I still remember the first time I saw kudzu. I was on a church mission trip in a bus crossing a bridge over the Mississippi River. For as far as I could see, the banks were covered with lush, green, rounded shapes. No buildings, no signs or billboards, no boat docks. To this girl from a flat, brown part of Texas, the sight was beautiful, ethereal, other-worldly. As if I had suddenly been transported into a magical fairyland. Fast-forward a few (more than I might care to count) years. The walking path in our city park winds between a small creek on one side and a slight rise on the other. Much of the native vegetation on the hill has been covered by kudzu. In summer the beautiful vines boast fragrant flowers that rain down their purple petals onto the path below. So, what could possibly be wrong with something that appears to be beautiful? Kudzu was first viewed as an answer to a problem. Farmers were encouraged to plant it to counteract erosion. It seemed like a good and easy answer to a problem. And it worked, but not exactly in the way people hoped. Enter the kudzu monster. 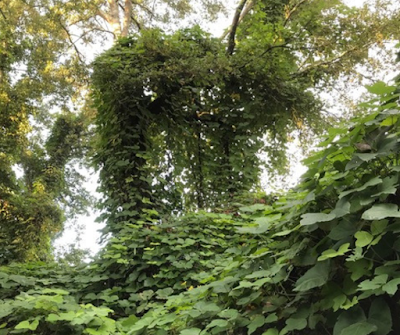 In the height of its growing season, kudzu can grow up to a foot a day. Although I’ve never watched long enough, people claim you can literally see it growing. It’s an equal opportunity blanket. It will cover anything and everything in its path—land, old cars, abandoned buildings, backyards, other plants—and make the ugly look beautiful. But while initially lovely, it’s invasive, and once it has taken root, it’s almost impossible to get rid of it. If you try to pull it up, the vine breaks, puts down even more roots, and spreads farther. 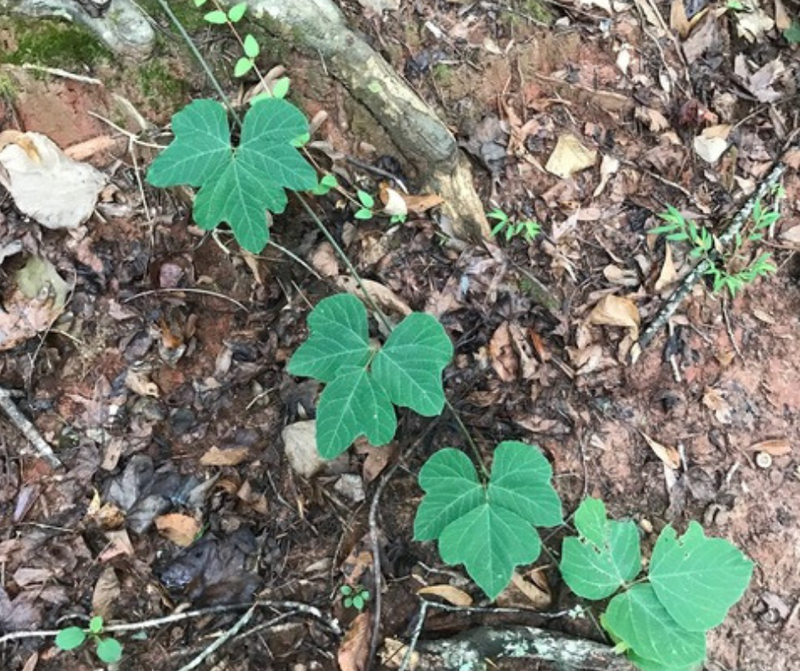 So, you’re probably wondering what kudzu has to do with you. As I studied the vines along the path in our park, imagining what might lay beneath them, a quiet Voice spoke deep in my heart. 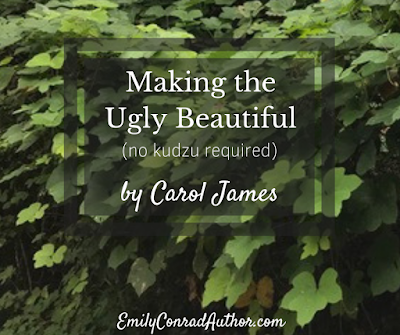 Carol, where’s the kudzu in your life? What are the things you’re trying to cover up? It often seems easier to hide the ugly areas of my life and try to make them appear beautiful rather than face them and clean them up. I’ll buy a larger, longer blouse rather than lose the weight. My house isn’t clean enough to have guests, so we’ll just meet at a restaurant. What would that person think if she or he knew the real me? Now, don’t get me wrong. Wanting to be the best you can be isn’t necessarily a bad thing. We should strive to be the best we can at whatever we are given to do. The problem arises when we worry more about external appearances rather than internal substance. As I continued my walk that day in the park, a Bible verse came to mind. “He has made everything beautiful in its time.” Everything. Not just a few things . . . or some things . . . or many things. EVERYTHING. Take cheer, we’re not alone in this quest for beauty! Our Father is the Author and Creator of everything beautiful. He’s a God of regeneration, of second, third, and fourth chances. He wants to transform our failures into successes. He wants to take our insecurities and replace them with confidence. He offers us His patience when we are at the end of ours. He brings us peace in the midst of mayhem. He wants to clean up our messes, so we don’t have to cover them up. So, where’s the kudzu in your life? And what’s it hiding? Clear it away, and give the hidden things beneath it to the One Who promises He will take our ugliness and make it beautiful. A professional soccer player, Sam Tucker has lived the life of a celebrity in the UK only to dis-cover that, despite all the wealth and fame he has acquired, his life is empty. He returns to the one place where life last had meaning, and goes in search of the one woman he’s loved since he was a teenager—Katherine. 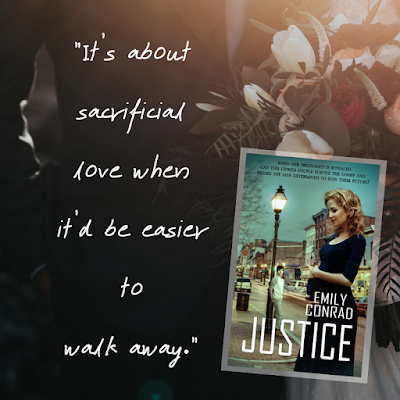 He wonders if she’ll remember him after all these years… And fears she just might. Carol James is an author of inspirational fiction. She lives in a small town outside of Atlanta, Georgia with her husband, Jim, and a perky Jack Russell "Terrorist," Zoe. To enter the giveaway, you must be 14 or older and a US resident with a valid email address. Void where prohibited. Comment on this post before February 13, 2019. Winner will be announced in comments on this post on 2/13/19, and in the new post that goes live on 2/14/19. Winner will have one week to respond. I don't have access to email addresses of commenters, but if possible, we will attempt to reach out to the winner via email and/or social media. If you have any questions, just ask! Thanks so much for having me today, Emily. You're welcome, Carol! Happy to have you here! What a wonderful thought. I enjoy gardening, and I know what you mean about the invasive plants. I love that I'll be reminded to let the real me—scars and all—show next time I see one. Thank you, Carol and Emily for posting! I wondered what kudzu was. Thanks for clearing that up in such an inspiring way! 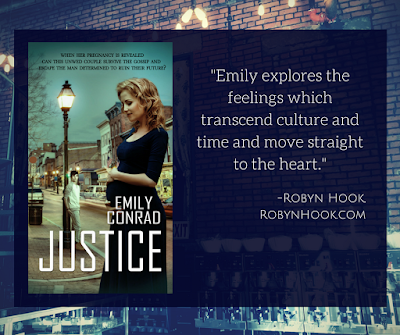 Robyn, thanks for your comment. I am always amazed (although I have no idea why) at what I see and hear through creation. Thanks for stopping by. Pam, thanks for your response. If you ever need any kudzu, Georgia has plenty to spare. I love how God speaks truth through something so commonplace and troublesome. We don't have kudzu in Montana, but we have crab grass, so I understand this analogy perfectly. Great post! Sad but true..."It often seems easier to hide the ugly areas of my life and try to make them appear beautiful rather than face them and clean them up." Love that question God asked you about searching for the kudzu in YOUR life. Made me consider the same. Thanks, Carol! Katie, we are blessed with both here in Georgia. I’m so glad you could relate. Thanks for your comments. Mary, so many of us are in the same boat. We just need to be willing to cast aside the comfortable and step out in faith onto the waves. Thanks for sharing. Great post! Very true, way easier to hide "the ugly." Love that God won't let us take the easy way because the end result is always worth the pruning. So true, so true, Kelly. Thanks for sharing. I was curious about kudzu but was surprised at where you went with the illustration. I assumed you’d ask what was invasive in our life, but instead the question is so much more gentle. What am I trying to hide? Thank you so much, Carol, for the wonderful reminder that God makes EVERYTHING beautiful in its time. Really appreciate that. Pearl, thanks so much for your comment. Interesting how God meets each of us where we are, and speaks to us as we need. Blessings to you. What a powerful and convicting illustration, Carol! I'll be needing to look hard for the kudzu in my life and address what it's hiding. Thank you for this challenge, and especially for the reminder that god makes all things beautiful and wonderful in His time. Jerusha, thanks for stopping by. Yes, let's clear away that kudzu! You have a lovely way of communicating. 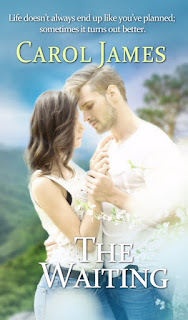 I am reading The Waiting right now and I love it! Stacey, thank you so much for your encouragement! I hope you continue to enjoy The Waiting. 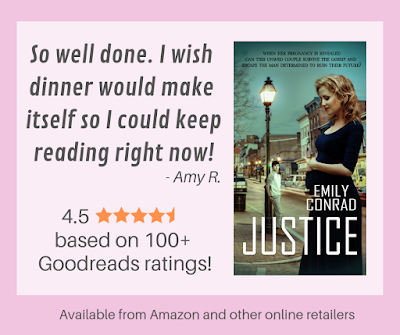 Emily, Thanks so much for having me on your blog this past week. I was honored to be able to share. Happy to have you here, Carol! Thanks for taking the time to share with us! And congrats on the release! Thanks everyone for stopping by and commenting! Robyn, you're our drawing winner! I have your email address, so Carol will be in touch with you shortly! Congratulations, Robyn! I hope you enjoy the book.